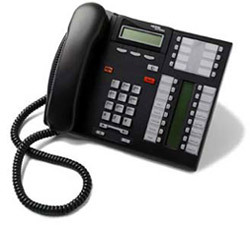 Contact us today and let our professionals help you with your Nortel T7316 - T7316e phones. Please note that the T7316 was the first set introduced in 2001 and was replaced by the T7316e set. The T7316e sets has an extra handsfree button built into the set. Unless refurbished, TelephonesDepot.com only sells the T7316e set.